PDF to Papyrus | Papyrus Watch - Exposing the overuse of the Papyrus font. 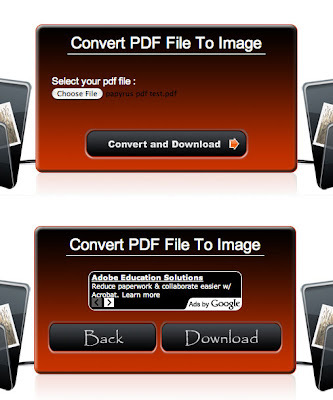 Jeff pointed us at this PDF to image converter, so we gave it a shot. The first thing I didn't like, from a usability perspective, was the black-on-red filename text. And then gah! How untechnological. Perhaps they equated Papyrus with paper, and turning paper info an image? Even that logic isn't entirely sound. But once I downloaded my file (on a Mac) it was a .zip file which I found unnecessary, but then it unzipped to a .cpgz (whatever the hell that is)...which opened as a .zip...which opened as a .cpgz...you see the problem here.